Explanation: When morning twilight came to the Paranal Observatory in Chile, astronomers Mark Neeser and Peter Barthel interrupted their search for faint quasars, billions of light-years away. And just for a moment, they used Very Large Telescopes at the European Southern Observatory to appreciate the beauty of the nearby Universe. 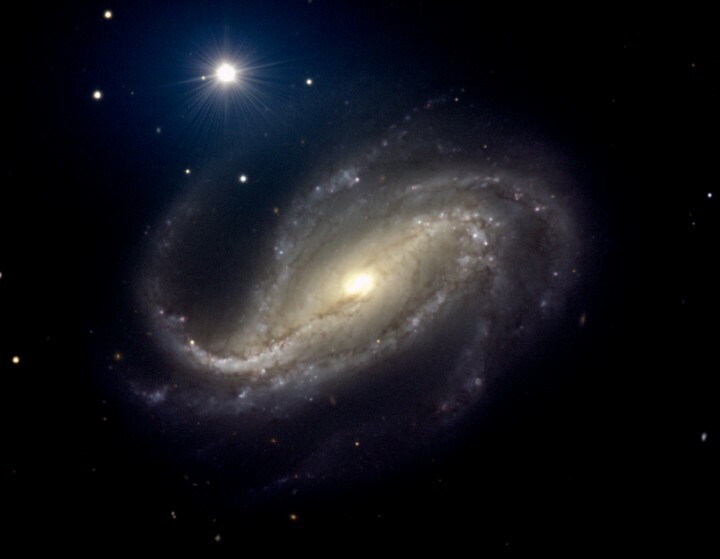 One result was this stunning view of beautiful barred spiral galaxy NGC 613, a mere 65 million light-years away in the southern constellation Sculptor. Over 100 thousand light-years across, NGC 613 seems to have more than its fair share of spiral arms laced with cosmic dust clouds and bright star forming regions near the ends of a dominant central bar. 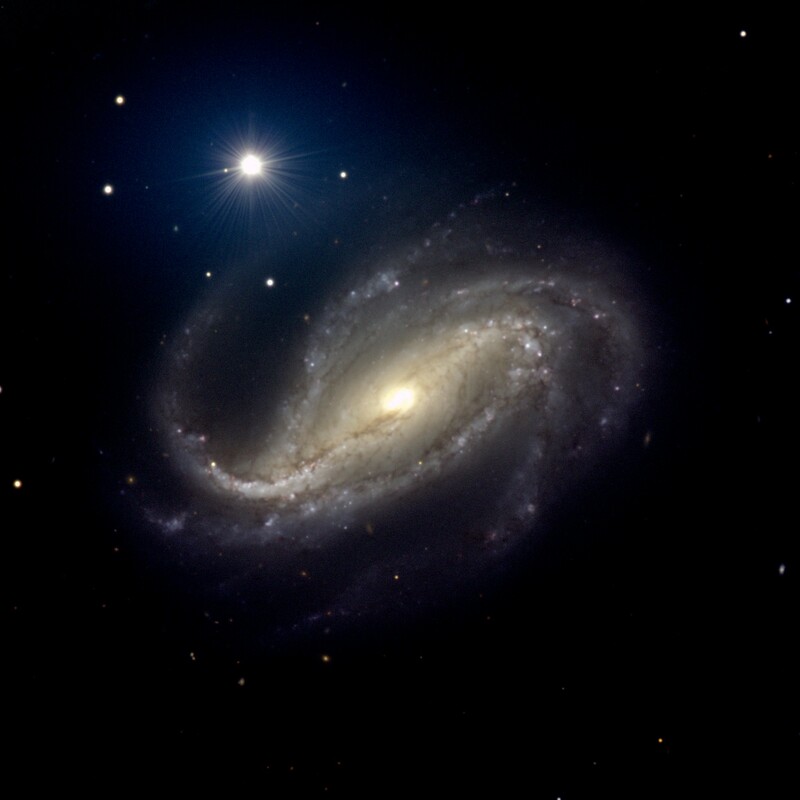 Radio emission indicates the presence of a massive black hole at the center of NGC 613.